If your app or website needs to connect UK locations with areas like constituencies or counties, MapIt can save you a lot of time. MapIt is mature, trusted and widely deployed — and it is designed to fit right into your website or app, quickly and simply. Input a postcode, and MapIt knows which constituency, parish, council area it’s in – and lots more. MapIt’s stable, well documented API makes it easy to integrate into a range of software solutions. Signing up is quick and easy, with automatic monthly payments and no lengthy tie-ins. See our pricing plans. MapIt API access starts at £20/mth and is free for low-volume non-profit use. One-off data mapping. Upload your postcodes and we’ll return them matched to our dataset. How could you use MapIt? MapIt can display the nearest branch, office or resources to the user, based on their postcode. Socialcareinfo gives details of the support available within each user’s local area. Make your campaigns more powerful, with targeted location-based messaging. 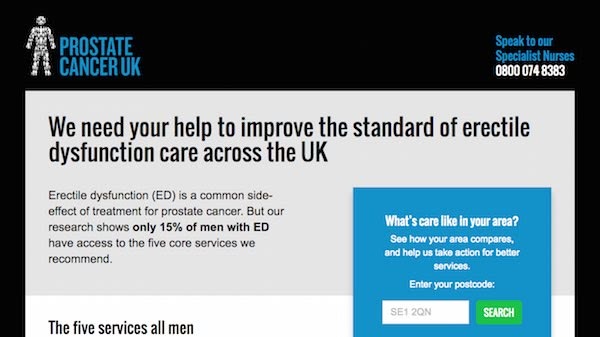 Prostate Cancer UK’s site shows what care is available in your own region – then encourages you to campaign for better. When different users need sending to different places, MapIt can guide the way. 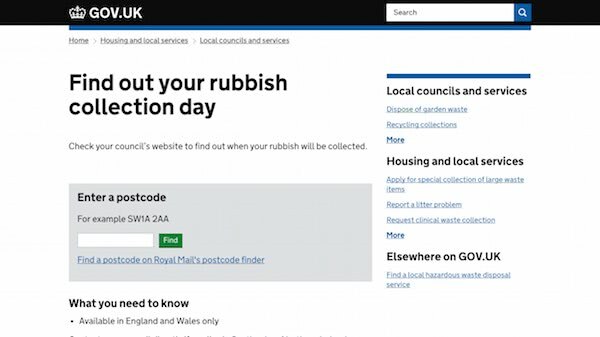 The UK Government uses MapIt to match users with their local council, so they can check on services like recycling or allotment applications. Read all about MapIt for non-developers.